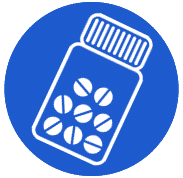 Why choose AlphaBiolabs for your home drugs testing kit? Worried about a relative taking drugs? Know for sure! 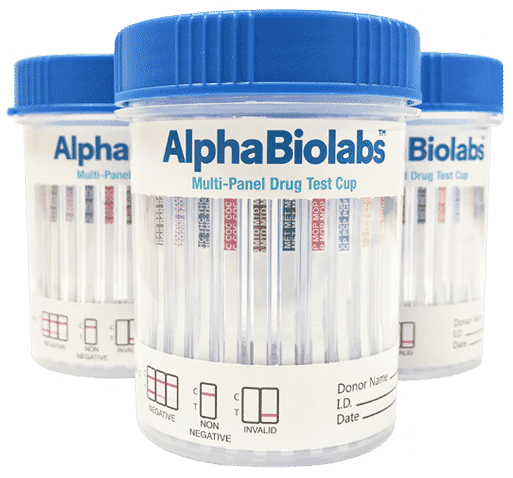 With the AlphaBiolabs 14 panel drug testing cup, you’ll get a fully integrated screening kit with test strips built-in and a sealed lid that is guaranteed not to leak even during transport. The cup design eliminates the handling of the urine, including no pouring or dipping. 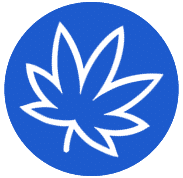 Join the thousands of companies, third party administrators and testing facilities who are laying their dip cards down and switching their testing method for the simplicity, safety and effectiveness of this sophisticated urine drug testing cup. This advanced testing cup is now available to members of the public. 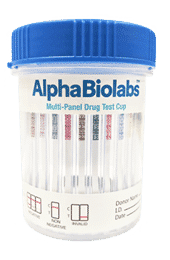 The AlphaBiolabs 14 panel drugs test is a fully self-contained urine screening kit for detecting drugs and their metabolites. Additionally, there are tamper protection features to help ensure the integrity of both the sample and the results. The AlphaBiolabs home drug test kit is an affordable drug testing solution that provides a quality screening method with up to 99% accuracy. What drugs can this kit detect?